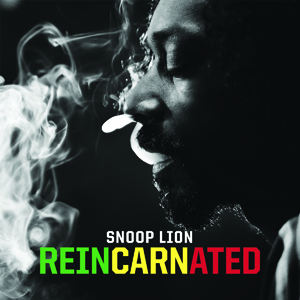 Haters gonna hate, but that doesn’t deter Snoop Lion from launching out in a new direction with “Reincarnated”, a likable reggae-based album. Can you take Snoop Dogg’s reincarnation as a Lion seriously, or should you dismiss it as a shallow commercial venture misappropriating the religion, culture and even accent of others? That may be the fundamental question presented by this album, but who are we to ask, really? I can’t possibly judge Calvin Broadus, Jr.’s spiritual awareness or sincerity from my living room in Kansas City. I believe from what I have read that he is at least trying to be genuine, and that’s good enough for me. I like what he puts on the album, and I’ll leave the questioning of his motives and depth to others bolder with their judgments. The normally nice Robin isn’t so gentle. She has categorized Snoop Dogg as a huckster, and she is not willing to reconsider. She acknowledges that some of the music is great, but it’s all just a novelty joke album to her. Well, mon, I tink she missin da joy, so sad. As for the music, I have a bias in favor of reggae music. The third beat emphasis just works for me – it has a jaunty, optimistic and kind of cool feel. Coming from my background, it’s a bit exotic, and tends to come across as happy music, even when it addresses the poverty and violence of slum living in third world conditions. “Reincarnated” delivers a fine dose of reggae. Despite the stiff-necked murmuring of some “purist” detractors, it was nominated for a Grammy as the best reggae album of the year last year, and the album captures the mix of silly fun, word play and spirituality that appear on many great reggae albums. The album starts with a touchingly vulnerable spoken introduction by Snoop Lion: “It’s so much death, it’s so much destruction and it’s so much mayhem and it’s so much misunderstanding in music, we losing so many great musicians. And we don’t love them while they here. And I want to be loved while I’m here. And the only way we get love is to get love.” This album is presented with love, and it shows. “Here Comes the King” is a sun-splashed gem with dance hall power expressed in a bass sound that threatens to blow speakers. It makes you wish you were at one of the massive beach parties launched with massive truck-based sound systems that helped start off the reggae scene in Jamaica. “Lighters Up” is a unification song featuring actually feuding musicians coming together with brass band. I’ve never heard tubas sound so funky – I don’t know how you could not like this song. Each of the songs has its own charm. You probably won’t love every one of them, but you ought to find a few new favorites if you have an open heart for a guy moving from Long Beach gang wars to peace-loving reggae. 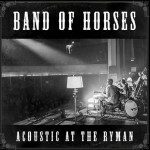 Some of my favorites are “So Long”, “No Guns Allowed”, the almost embarrassingly sweet and stripped down “This is the Good Good”, and the reassuring and inspirational “Harder Times”. 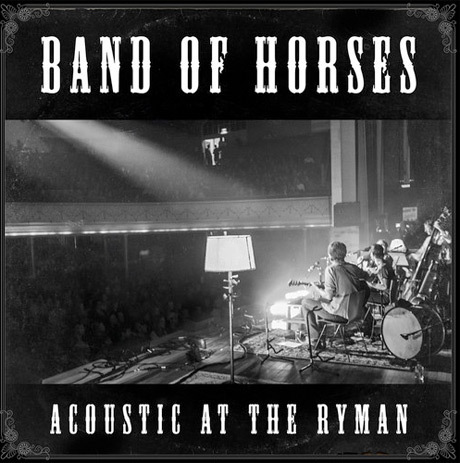 Next up: Accoustic at the Ryman, by Band of Horses. This entry was posted on Sunday, April 20th, 2014 at 10:04 AM	and is filed under Uncategorized. You can follow any responses to this entry through the RSS 2.0 feed. You can leave a response, or trackback from your own site.